Windbreaker to pull over the head, with soft, breathing fleece lining made of 100% polyester in the body and hood. The outer is made of wind- and water-repelling nylon. With drawstring casing in the hood and hem, the sewed in zipper on the side makes putting on and taking off the coat going easily and the jacket has hook-and-loop fastener at the ends of the sleeves. Loads of space by a big, covered zipped pocket on the front and two angular zipped pockets. 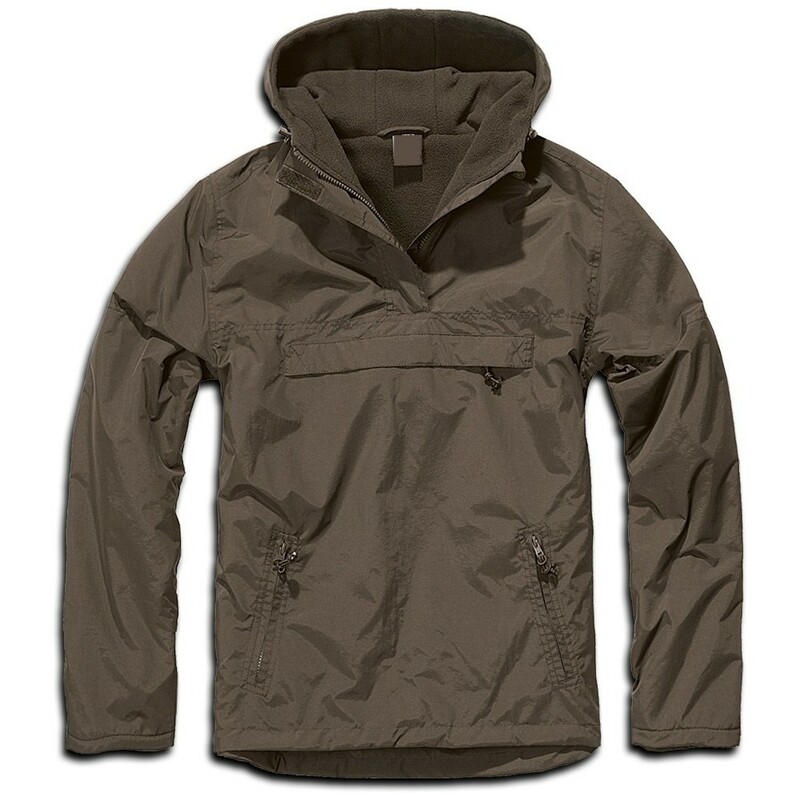 The windbreaker has drawstring casing in the hood and hem and a small by hook-and-loop fastener covered mini zipper at the collar.